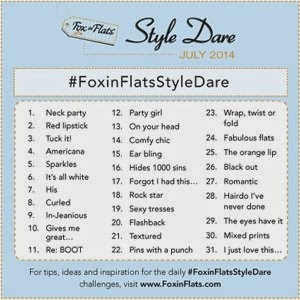 I'm back again with days 8-14 of the Fox in Flats Style Dare! 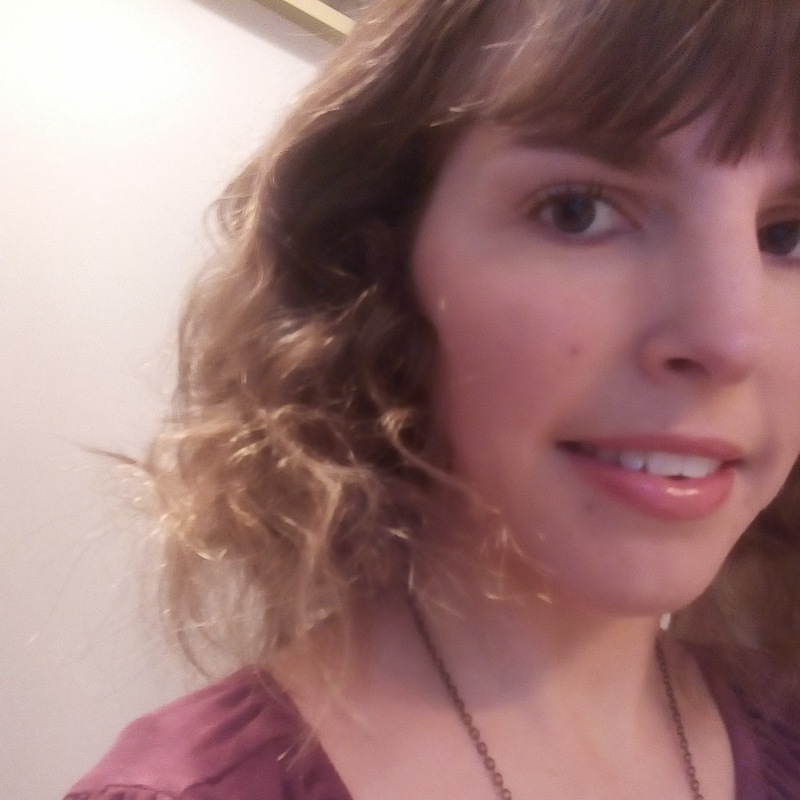 Curled- I tried a Pinterest overnight curls tutorial, which turned my hair to frizz but there were still a few curls! 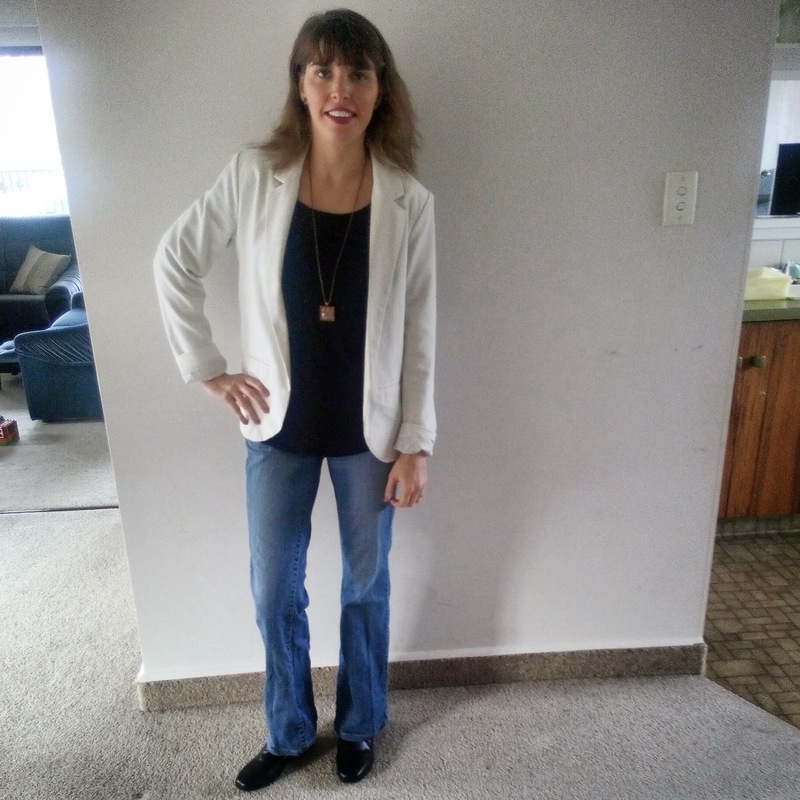 In-Jeanious- my fit-like-a-glove Katies jeans spruced up with a black top, custom necklace and blazer as I was working that day. 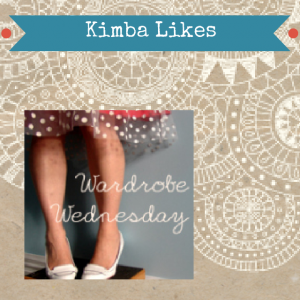 Gives me great... Well my husband thinks a skirt and pumps give me great legs! 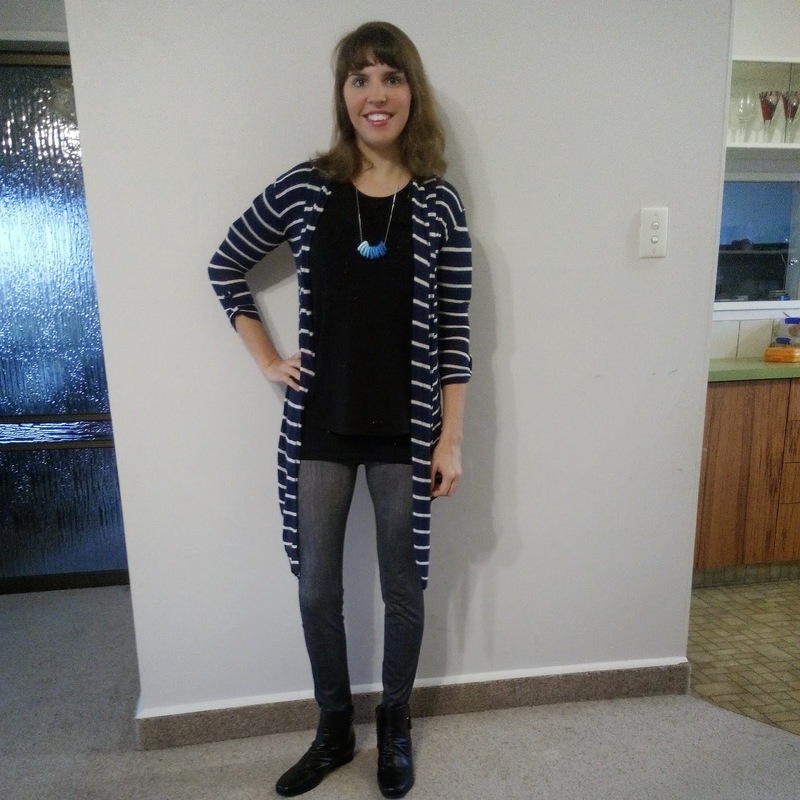 Re:BOOT- my go-to winter black boots with denim jeggings, a black tunic top, fun necklace made by Miriam and my favourite striped waterfall cardigan. 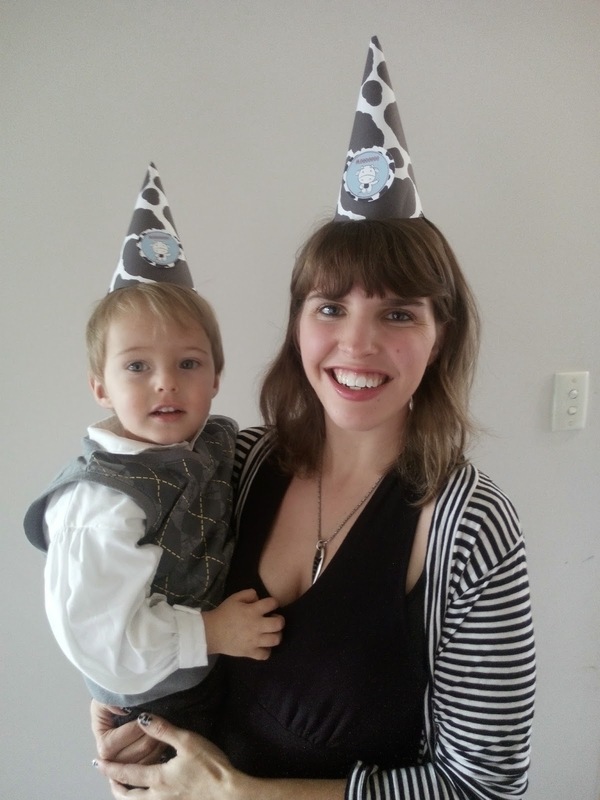 Party girl- celebrating Adam's second birthday with a homemade party hat, black halterneck dress and a black and white striped cardigan. 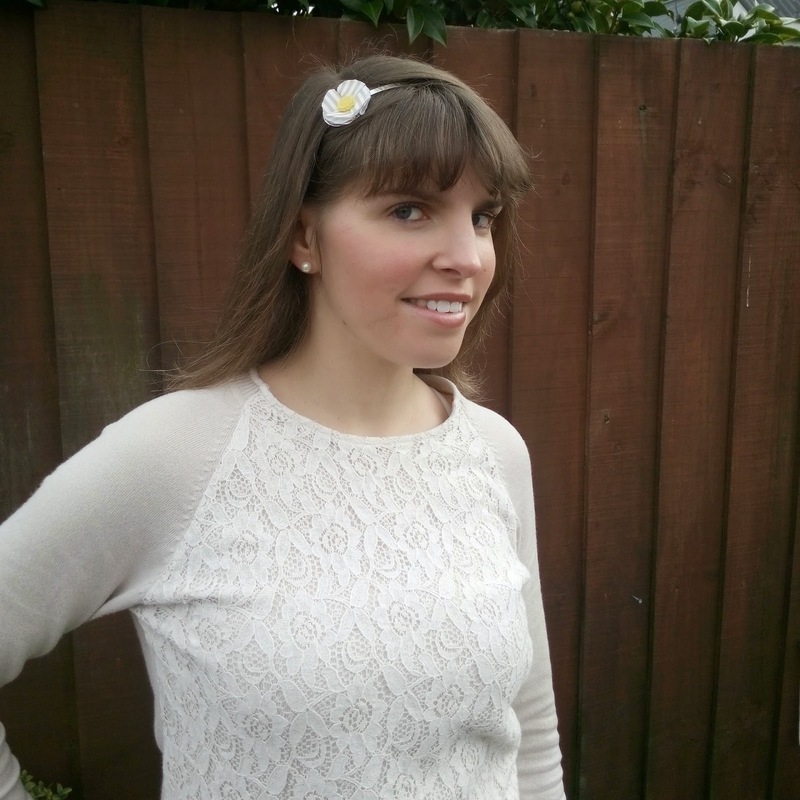 On your head- a homemade fabric flower headband. Tutorial can be found here. Comfy Chic- Monochrome in a black tunic and leggings, perfect for a day at home where I was hanging out with the boys. You've done really well! I think I managed two or three days. The headband you made is the cutest! How did you make it? La la LOVE the party hats - and your pins are top notch! Its always nice to get compliments from the hubby, right? 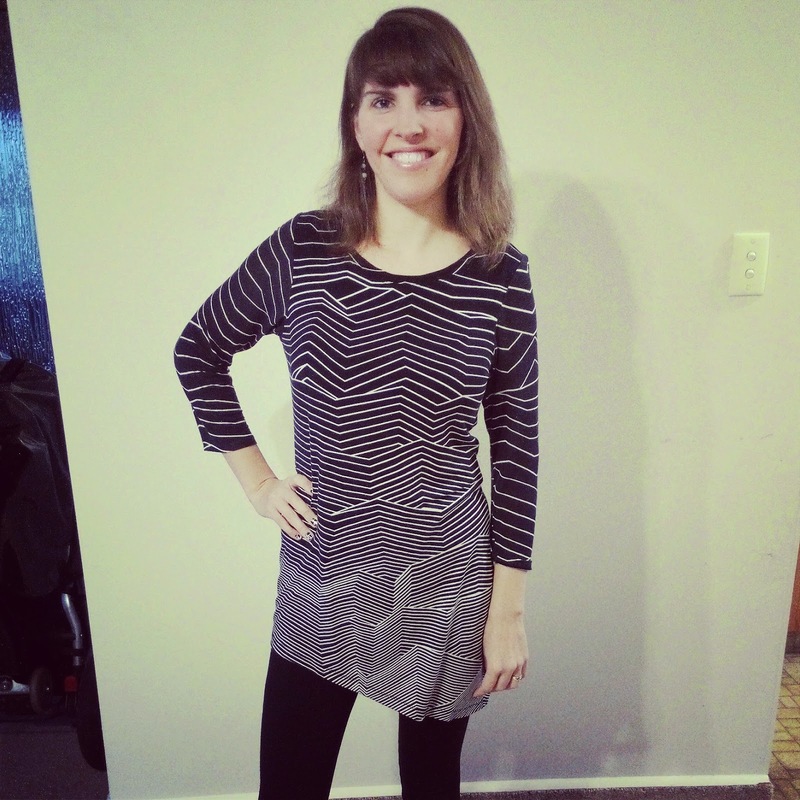 I love seeing your hair curly and I love the tunic outfit with leggings!